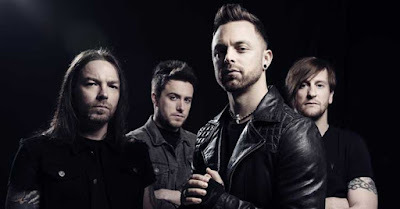 MetalRockNews: Bullet for My Valentine release new EP this year? Bullet for My Valentine release new EP this year? Bullet for My Valentine frontman Matt Tuck revealed that the band may release a new EP later in 2016. You can read some excerpts below. He told Kerrang: "We're planning on doing something special this year as far as music goes. It hasn't been confirmed yet, but we've been having talks about dropping a five-track EP or something, to give away to the fans." He added: "We would just really like to have something to keep everybody going between albums. The way music has changed and the way people listen to it is king, and you have to adapt and have something to keep people going. It's all talk at this point, but if we get the time and it comes together and it sounds great, we'll definitely get something out this year."